If You Don’t Claim Extraordinary, Ordinary Claims You! 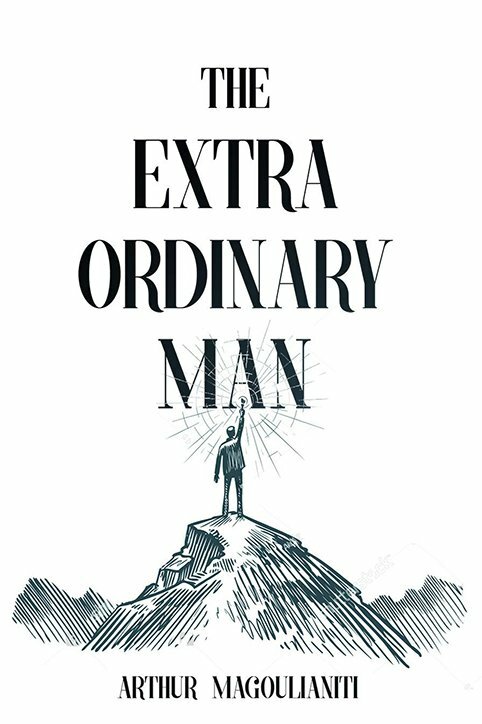 What does it mean to be an Extraordinary Man? What does it mean to live an extraordinary life, and why should you care to find out? The simple answer is that becoming an Extraordinary Man is the only way to achieve true joy and happiness. That process of becoming involves living passionately, feeling excited about life and prioritizing a life of abundance, meaning and deep fulfillment. But what is at stake if you do not pursue an extraordinary life? If you don’t claim Extraordinary, ordinary claims you! An ordinary man lives a mediocre life defined by surviving instead of thriving, where things maybe just OK, but are hardly ever great. Ordinary is where work is an emotionally-draining necessity, where relationships are a challenge and where finances are never too far away from going flat. At the heart of creating and living an extraordinary life is the process of becoming an Extraordinary Man. The good news is that it’s a lot easier than you might think! In order to have more, we must first become more and The Extraordinary Man lays out the principles and practices that can change your life – literally overnight. Each new habit, each new strategy applied changes your life for the better. Adopting these time-tested and proven principles will create extraordinary results for you and, just as importantly, those around you like your family and loved ones. All men know deep down that they have more to give, they know that deep down they are powerful. But on the surface, anything that blocks our masculine power prevents us from accessing our innate powers to create, to love, and to live life to the fullest. It’s time to leave behind the ordinary and become your best self; to fully become The Extraordinary Manthat has always lived inside of you! Arthur Magoulianiti is lifestyle entrepreneur, master coach and a bestselling author. His purpose in life is helping men reconnect to their masculine power and create an extraordinary lifestyle. He has trained with the leading personal development teachers around the world and has been certified in various disciplines, including Master NLP practitioner, High-Performance Coaching, and Leadership Coaching. Arthur is also a bestselling author with 2 books under his belt, one of which was co-authored with Mark Victor Hansen. With a desire for his personal adventures to be as exciting as his professional ones, Arthur has tackled challenges such as climbing Mt. Kilimanjaro and Mont Blanc, running ultra-marathons and becoming a Krav Maga Instructor. Arthur has made Cyprus his home, along with his wife Penelope and two children, Harry and Maria Anastasia, and Max, the family dog.